Escape the highs and lows of Christian life and stay full of His presence all the time! Do you feel as if your Christian life is full of highs and lows? Perhaps you attend a special church service that draws you close to God or even experience a healing. In those moments your heart is filled with the presence of God, but within a few days or weeks, you once again feel empty or sick. You are not alone. Even though many believers experience this, it is not what the Lord intended. 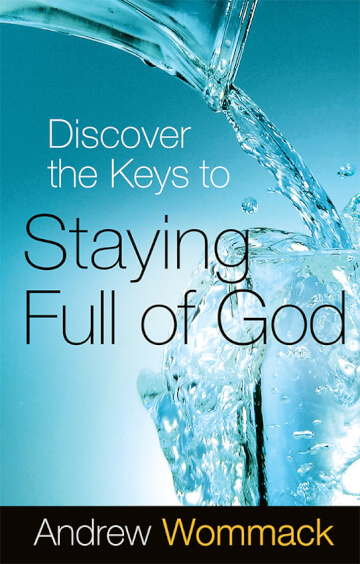 The keys to staying full of God are not a secret and they are not mysterious, they are simple. For that very reason few people recognize their value and even less practice them. In this amazingly practical message, Andrew Wommack reveals the essentials to a strong, close relationship with God. Learn what they are and how to put them into practice. It will keep your heart sensitive toward God and your relationship will grow like never before.